Late in 2012, ReQuest set up a gigantic bay of CD ripping stations and began to offer bulk loading. 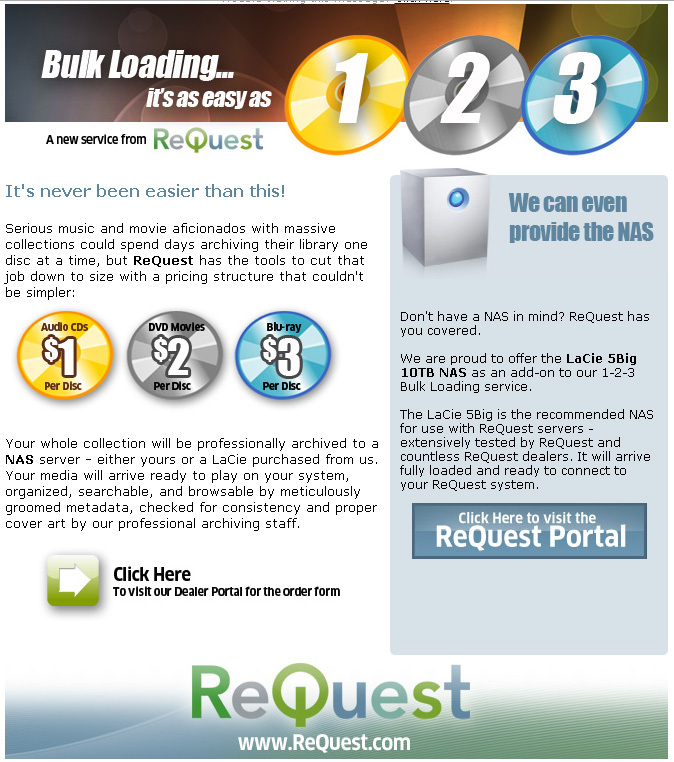 Clients could send us a crate of their CDs, DVDs, and Blu-ray discs and we’d sent a NAS pre-populated and ready to plug into a ReQuest system. This became an ongoing campaign and an item we’d tack into every subsequent email or communication.